After performing at London's O2 Arena last night (June 18), Pearl Jam have been forced to cancel tonight's second show at the venue in the wake of frontman Eddie Vedder losing his voice. The band made the announcement on social media today, writing, "Singer Eddie Vedder has completely lost his voice. He is on vocal rest for the next few days in an effort to heal and perform the remainder of the tour dates." 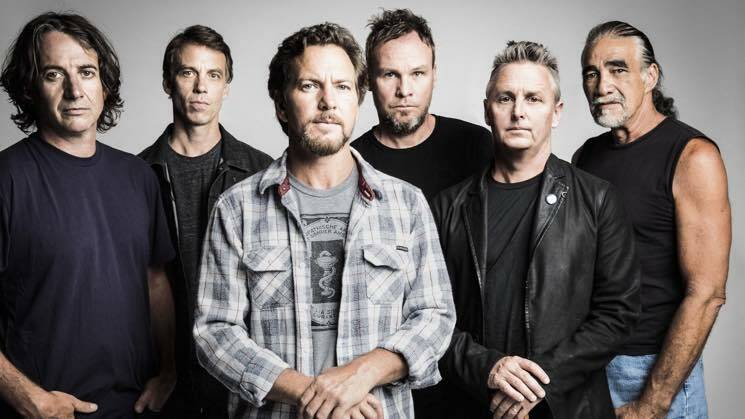 Pearl Jam's statement noted that the band are currently looking to reschedule the show for mid-July, with tickets for the cancelled date remaining valid for the makeup performance. "It's the first time ever having to postpone a show for this reason," the band continued. "Ed and the band are gutted thinking of all the folks who have travelled and made plans." Pearl Jam are set to resume their European tour this Friday (June 22) in Milan. Find the band's statement below. Earlier this year, the band shared a new single ahead of a follow-up to 2013's Lightning Bolt.